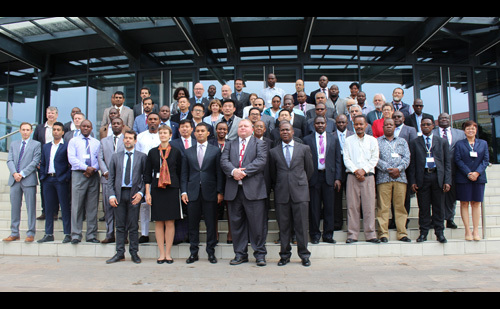 Geneva / Maputo, 7 May 2018- Over 60 representatives from 24 countries across Africa, Asia, Europe and North America, and from intergovernmental and non-governmental organizations, met in Maputo, Mozambique, from 1 to 4 May 2018, to discuss the development and implementation of National Ivory Action Plans (NIAPs). The Convention on International Trade in Endangered Species of Wild Fauna and Flora (CITES) requires from a number of its Parties that they develop and implement NIAPs to strengthen their controls of trade in ivory and ivory markets, and help combat illegal trade in ivory. Each NIAP outlines the urgent measures that the Party commits to deliver – including legislative, enforcement and public awareness actions as required – along with specified time frames and milestones for their implementation. The Parties concerned are those most affected by illegal trade in ivory, either as source, transit or destination countries. The CITES Secretariat convened the meeting in Maputo in close cooperation with the Ministry of Land, Environment and Rural Development of Mozambique, and the Secretariat’s partners in the International Consortium on Combating Wildlife Crime (ICCWC), and with generous funding from the United Kingdom. It provided an important opportunity to review the development and implementation of NIAPs, and to exchange experiences and best practices among NIAP countries. The meeting also served to identify opportunities for long-term collaboration among enforcement authorities, cross-border and regional cooperation, joint actions, and resource mobilisation. It gave the opportunity to participants to discuss shared challenges and technical assistance needs. The meeting on the last day comprised a Regional Investigative and Analytical Case Management (RIACM) meeting, facilitated by INTERPOL. The RIACM provided a platform for representatives to share information and intelligence with regard to modus operandi, smuggling routes, and other information relevant to targeting the criminal networks involved in ivory trafficking. The British High Commissioner to Mozambique, HE Ms. Joanna Kuenssberg, said: "Elephants are a part of Mozambique’s and other countries natural heritage. I’m delighted that the UK has been able to support our partners from many countries to develop and implement national ivory action plans. Only through international collaboration will we succeed in beating the poachers and organised criminal networks who exploit vulnerable communities. 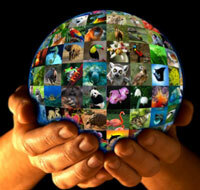 At this event we have shared ideas for developing human livelihoods in and around habitats rich in wildlife." Representatives from Parties implementing NIAPs highlighted that formalizing collaboration between law enforcement agencies at national level by establishing appropriate structures was an essential step in the fight against ivory trafficking. Identified as equally important is legislation that enables addressing wildlife crime as a serious crime, and makes provision for strong deterrent penalties. The urgent need to further strengthen collaboration across range, transit and destination countries and the increased use of tools such as Mutual Legal Assistance treaties were discussed, as well as how the sharing of information and intelligence can facilitate further strengthening risk profiles and indicators used to detect illegal ivory consignments. Other matters discussed include the need to closely review poaching and trafficking trends to ensure that new crime trends are swiftly identified and addressed, using new methods developed to enable ivory fingerprinting, the establishment of electronic fingerprint databases, and the collection of samples from large-scale ivory seizures for forensic analyses, in support of investigations and prosecutions. The meeting also considered how technical and financial support could be more effectively mobilized to support NIAP implementation, and opportunities for such support, as well as private sector and civil society organization engagement in support of combating illegal trade in ivory. Progress with the development and implementation of NIAPs will be evaluated at the 70th meeting of the CITES Standing Committee (SC70), to be held in Rosa Khutor, Sochi, Russia, from 1 to 5 October 2018.